Reasons to Sell Your Home at an Auction | Wilson Auction & Realty Co, Ltd.
Wilson Auction & Realty Co. sells homes via auctions in Ohio, Michigan and Indiana. What are some reasons to sell your home at an auction? First, there are several qualified home buyers currently looking to purchase a home and they’re actively looking online to find ones for sale in the region. Auctions create competition between these buyers, which is good for sellers. Did you know, for instance, that buyers are more likely to spend more money on a home sold at auction compared to negotiated sales? It’s because they’re caught up in the heat of the moment. They’re competing against others who also want a particular house, and there can only be one ultimate winning bid. Auctions work well in slow markets where homes are having a hard time selling and prices keep having to be lowered to try and entice buyers. The longer period of time that homes linger on the market, the harder they become to sell. Auctions, however, are quick and efficient. By creating a set date and time for a house to be sold at auction, it forces buyers to pay attention. Someone is going to wind up owning the home– will that someone be you? The other good thing about auctions is that they attract serious buyers who truly want to spend some money and buy property. There are singles and families who are looking for homes to live in, of course, but don’t forget about investors and people who want to find “fixer-uppers” so they can eventually make a profit renting or reselling a place. Finally, auctions tend to work well when a homeowner passes away and their relatives are left to “deal with the house.” Oftentimes, sons and daughters live out-of-town and don’t have the time or inclination to go through the process of working with a traditional real estate agent, waiting around for the place to sell. An auction “gets it sold” on a set date and time, such that the house doesn’t become a burden to relatives who never wanted it in the first place. 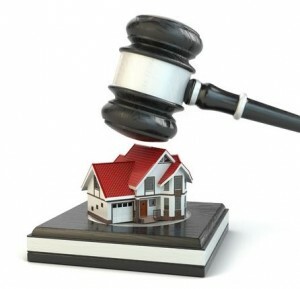 For info about property auctions, call Wilson Auction & Realty Co. at 419-636-5500.